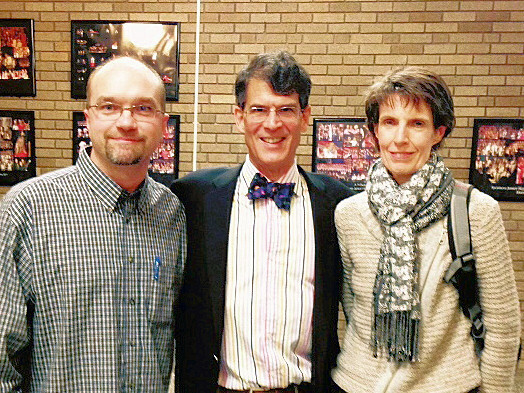 In early March, Eben Alexander gave three lectures as part of the Town Hall Lecture Series sponsored by the Montgomery Women’s Club. Matt Petersman and Lorraine Becker from Cincinnati IANDS were fortunate enough to attend all three lectures, meet NDE-interested attendees, and hand out information about our Cincinnati IANDS meetings and our group. We plan a lecture review as part of our next monthly meeting on April 12.